The Center organizes Business Development Conferences in the Southwest Region to connect business leaders with information on business climate, economic trends and forecasts, upcoming projects and opportunities. Each Conference is designed to meet the needs of one or more of the following industry clusters; i.e. Aerospace & Defense, Healthcare, Construction, Information Technology, Utilities, Hospitality, Energy, National Parks, Recreation, Military, Security, Transportation. The Center’s Conferences provide a continuous outreach channel for diversity businesses – manufacturers, distributors, service providers, vendors and suppliers to connect with Federal, State, County, City, local governments, Healthcare Providers, Universities and other procurement agencies as well as prime government contractors in need of products and services provided by qualified diversity business enterprises. For nearly a decade, the Center has been an effective catalyst that develops strategic business relationships between private and public stakeholders to identify, secure and administer Federal and/or Private Foundation grant funding and/or contracts to address business development, workforce and education initiatives. The conferences provide a forum for industry thought leaders, researchers and practitioners to present new findings and best practices as essential knowledge, skills and dispositions to improve student learning. 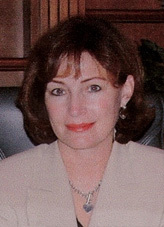 Dr. Dee H. Andrews, worked as a research scientist and research manager for the Department of Defense for 34 years. Upon retirement Dr. Dee H. Andrews, was a member of the scientific and technical cadre of senior executives, is Senior Scientist, Human Effectiveness Directorate, Air Force Research Laboratory, Mesa, Ariz. As Senior Scientist, Dr. Andrews was the laboratory’s principal scientific authority for training research. His responsibilities included sustaining technological superiority for training by planning and conducting theoretical and experimental studies. He also mentored and developed the technical staff to assure quality in training research, and represents the laboratory in training research matters to the external scientific and technical community. 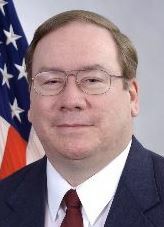 During his career Dr. Andrews twice worked for the U.S. Army Research Institute for the Behavioral and Social Sciences where his research focused on cyber security and simulation based training. 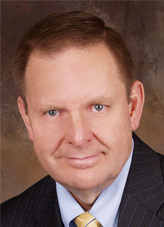 Dr. Andrews spent six years working for the Naval Training Systems Center as a Training Analyst and Training Researcher. Andrews now serves as a training consultant and college instructor. 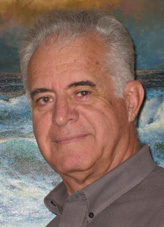 Mr. Castillo brings over 45 years of experience in business entrepreneurship and management expertise serving the public and private sector on a national and international basis. Mr. Castillo is the chairman and founder of the Arizona Diversity Business Development Center, Inc. a Not for Profit Arizona Based corporation. Since inception, the Center has organized and conducted Business Development conferences attended by over 2,500 professionals. The conferences were located in Phoenix, Tucson, Sierra Vista, Yuma, San Diego, Los Angeles, Las Cruces and Albuquerque. In 2012, the Center was awarded a four (4) year $4.96 million dollar H-1B Technical Skills Training Grant by the Department of Labor. The Center’s partners on this grant include Banner Health, Arizona State University School of Nursing and Healthcare Innovation, Maricopa County Workforce Connection and Arizona Women’s Education & Employment. The primary objective of the grant project is to elevate the skillsets of Banner Health’s acute care employees by advancing the career pathways of over 1,000 incumbent nurses. Mr. Castillo is a native of Bolivia and graduate from the United States Air Force Academy. During his 16 year tenure with Alion, Mr. Dane Mullenix has served in a number of capacities including MSIAC Director, Division Manager, Small Business advocate, and Director of Innovation, for the company’s National Security Group. In his current capacity, Dane oversees the operation of the Arizona Laboratories for the City of Mesa, as part of a broader economic development initiative to attract Aerospace and Defense companies to central Arizona. Dane joined Alion in 2000 after a 26 year Air Force career as an Air Battle Manager and Aircraft Maintenance specialist. He began his career as an enlisted “Crew Chief” on the F-111 aircraft, followed by 22 years of commissioned service in a variety of Operations, Staff and Leadership positions. Dane’s expertise encompasses Command and Control, Intelligence Surveillance Reconnaissance, Modeling and Simulation, and Military Readiness. Dane’s aviation experience includes over 2500 hours in the E-3 AWACS and EC-130 ABCCC aircraft, and various ground-based radar systems. Dane also served on the headquarters’ staffs of the US Air Force Headquarters Pentagon and at the United States Pacific Command in Hawaii. Mr. Mullenix holds a Bachelor of Science degree in General Studies from the University of New York at Plattsburgh, and a Master of Arts degree in Human Resources Management from Pepperdine University. Diversified business management leader with more than 20 years of experience in conference, event and meeting planning and management, marketing, sales and public relations. Proven track record for the successful completion of private/public events both nationally and internationally. Ms. Martin has owned and operated several successful business ventures in the consumer products, hospitality and entertainment industries. Ms. Martin’s primary role as Vice President of the Arizona Diversity Business Development Center has been the development of business outreach. The Center has produced over 30 meetings and conferences for the public and private sector in the Southwestern US in the past 7 years. Programs range in size from exclusive C-Suite meetings to programs with several hundred in attendance.